Vision may be the most precious of our five senses. Yet most of us may take it for granted...until it begins to deteriorate with age. As we get older we likely need greater amounts of light to perceive details clearly, and reading glasses to discern fine print which would otherwise be fuzzy. Night driving becomes difficult due to sensitivity from bright lights and glare, and it's challenging to visually adapt to the darkness. These are common examples of "normal" ocular aging in otherwise disease-free eyes that will not severely impact quality of life in the senior years. But the problem is, with advancing years also comes a higher risk of developing age-related diseases, including eye disorders such as macular degeneration, cataract, and glaucoma, which could lead to vision loss and potentially blindness − a devastating consequence. The good news is, like many other degenerative aging processes, there is something (actually, many things) we can do about it. Let's examine how to ensure lifelong healthy vision, or at least stop the progression of, and even reverse existing disorders. Two deleterious processes exacerbated by aging that affect the body as a whole, including the eyes, are oxidation and glycation. Oxidative stress occurs when the over-activity of reactive oxygen species (ROS) such as free radicals, by-products of normal cellular metabolism, exceeds the body's capacity to neutralize them. As their name implies, ROS are highly reactive, and can damage proteins, lipids, and DNA, and destroy cells and tissues if not kept in check by the body's production of endogenous antioxidants (i.e., SOD, catalase, glutathione). Disease and aging can alter the oxidant/antioxidant balance, resulting in an excess of ROS that overwhelm the body's waning antioxidant defenses. This damaging process is often compounded by another mechanism known as glycation, in which glucose or other molecules form irregular bonds with proteins, modifying their structure and function. Glycated proteins can then go on to chemically combine with other proteins in a process called "cross-linking." Glycation and cross-linking result in the formation of toxic products, including advanced glycation endproducts (AGE's), further aggravating oxidative stress, leading to tissue damage and dysfunction throughout the body and a variety of age-related diseases. Elevated blood glucose in diabetics, or even prolonged exposure to normal levels of glucose over time in aging non-diabetics, sows the seeds for the consequences of increased rates of glycation throughout the body. Structures within the eye have a high metabolic rate and are particularly susceptible to glycation and oxidation, processes which underlie the development of cataracts, macular degeneration, and glaucoma, among others. Although in this article we'll mainly focus on strategies to combat the generation of ROS and AGE’s, other mechanisms, such as inflammation, vascularization (the abnormal formation of blood vessels), and mitochondrial dysfunction can further complicate and worsen eye damage, leading to vision loss. So we now know that oxidative stress and glycation are implicated in the development and progression of age-related eye diseases. Cataracts are formed when oxidation of lipids and cross-linking of proteins in the lens of the eye cause the normally transparent lens to become opaque or cloudy, impairing vision. Cataracts left untreated are a major cause of blindness worldwide. Another serious disease associated with oxidative damage that leads to vision loss is age-related macular degeneration (AMD), which is characterized by damage to the macula, a pigmented yellow spot near the retina that is responsible for central vision. There are two forms of the disease, wet (in which newly formed blood vessels leak blood or fluid) and dry (in which cells atrophy or die). AMD impairs the ability to read, drive, and perform other activities that require fine, sharp, forward-directed vision. In glaucoma, another disease linked with oxidative stress, peripheral vision is hindered due to damage to the optic nerve from an increase in eye pressure. It's clear that in order to protect our vision, and our health in general, the goal is to reduce the impact of oxidation and glycation. Thankfully, we can take steps, including lifestyle changes, targeted nutritional supplements, and drug therapies when needed, to prevent, slow, or even reverse age-related eye diseases. A good foundation of antioxidant support to neutralize oxidative damage, provided through the diet and supplements, is vital to the health of the body and eyes. A diet of fresh fruits and vegetables, legumes, lean meats, dairy, fish, and nuts supplies a range of antioxidant vitamins and minerals. (We'll see more on optimizing diet later.) For further antioxidant support, a comprehensive multi-vitamin/mineral supplement and carotenoid formula is recommended; antioxidant vitamins A, C, E and minerals such as zinc have all been shown, individually and combined, to block oxidative damage and protect vision, as have carotenoids (phytochemical antioxidants found in dark green or yellow fruits and vegetables), including β-carotene, lutein, zeaxanthin and meso-zeaxanthin. PQQ is another mitochondrial energizer and potent antioxidant that may have potential in supporting eye health. Can-C eye drops is a major innovation in cataract treatment and prevention, and vision health in general. The drops contain the substance n-acetylcarnosine (NAC), a naturally occurring precursor to carnosine, a potent inhibitor of glycation and oxidative processes. (Note: carnosine is not to be confused with l-carnitine; they are two distinct substances.) The acetyl group on the precursor NAC molecule allows it to penetrate the cornea and enter the aqueous environment of the eye, where it is then de-acetylated into carnosine. Once in the eye, carnosine accumulates in the lens, where it combats free radical activity while preventing the cross-linking of lens proteins, both of which, as we've seen, are implicated in cataract development. Several clinical studies on cataract patients using the drops have demonstrated its efficacy and value as a non-invasive alternative to cataract surgery, which involves the removal and replacement of the lens. In a placebo-controlled study on 49 patients with cataracts (average age of 65), 90% of those receiving Can-C (NAC 1%) eye drops twice daily for 6 months showed improvement in visual acuity and 89% showed improvement in glare sensitivity. (Note: visual acuity is a measure of clarity or sharpness of vision, determined by the ability to read the Snellen chart, the chart in the eye doctor’s office with letters that progressively decrease in size; for example, a result of 20/20 is considered “normal” vision.) After 24 months, the treated group exhibited no further cataract development, in contrast to the control group in which vision deteriorated. Tolerability of the drops was good, with no reported adverse events. (13) In another placebo-controlled study on 137 older adult automobile drivers, 4 months of eye drop use improved visual acuity and glare sensitivity in those with cataracts, also with good tolerability. (14) This study has important implications for improving both vision and driving safety in older adults. Can-C Plus is an add-on product to be used in conjunction with Can-C eye drops in more advanced stages of cataract development. The oral tablets contain N-acetylcysteine (another powerful antioxidant and enhancer of endogenous glutathione production), carnosine (in an oral form rather than drops), vitamin E, zinc, and other ingredients. Melatonin is a hormone produced by the pineal gland and within the retina with diverse physiological functions. Besides its role in regulating circadian rhythms such as sleep, the hormone has been shown to prevent premature aging and increase life span, with strong antioxidant and anticarcinogenic actions. The decline in production of melatonin with age is one of the leading mechanisms of aging and age-related diseases. In addition to scavenging reactive oxygens within eye tissues, melatonin may combat macular degeneration by another mechanism: stimulation of telomerase activity in the retinal pigment epithelium, a pigmented layer of the retina. (28) Telomerase is the enzyme that enables chromosomes to maintain their length and structural integrity at their ends (called telomeres) when cells divide. Telomere shortening due to inactivity of telomerase leads to cellular senescence, aging, and degenerative diseases, and the identification of agents like melatonin that activate this enzyme is a key area of ongoing research into the mechanisms involved in the genetic control of aging. Because of its diverse range of physiological functions, from retarding aging to protecting vision, melatonin should be included in any comprehensive longevity regimen. So far, we've discussed a variety of vision-supporting nutrients and supplements, many of them antioxidants, though we’ve covered two that protect against both oxidation and glycation. Now, let’s focus specifically on combatting glycation. As with antioxidant support to neutralize free radicals, we must also establish a strong physiological foundation that limits the formation of destructive AGE’s. This can be accomplished by maintaining blood glucose levels within the normal range for non-diabetics and within an acceptable range for diabetics receiving treatment (there's controversy over what the “normal” range is, but let's say a fasting blood glucose level less than 100 mg/dL, and optimally less than 85 mg/dL). Hemoglobin A1C, a blood test that measures levels of glycation in the body, specifically glycated hemoglobin, should also be monitored. In diabetes, elevated glucose in the blood speeds up the formation of AGE's (since excess glucose is available to form higher levels of glycated proteins), leading to diabetic complications throughout the body, including the eyes. In fact, diabetes is a form of accelerated aging because this destructive process happens faster than it ordinarily would; but even in those with normal blood sugar, the rate of glycation increases with age due to prolonged glucose exposure over many years. A nutritional strategy to control blood sugar that should be followed by diabetics and non-diabetics alike is a low glycemic index diet that replaces simple carbohydrates such as super-sized sugary drinks, white bread, and sweets, with complex carbohydrates from whole grains, fruits and vegetables. This low-glycemic diet coupled with the antioxidant-rich diet discussed earlier is a solid preventive nutritional base. In addition, avoid food preparation that triggers the production of dietary AGE’s (yes, they are even formed during cooking, and then ingested, further adding to the body's toxic burden!). Frying and grilling foods at high temperatures should be replaced by lower temperature methods that also involve liquid, such as boiling, poaching, or stewing, which produce significantly fewer glycotoxins. Following these measures, coupled with the use of appropriate nutrients, supplements, and drugs when necessary, will help protect against glycation-induced damage. 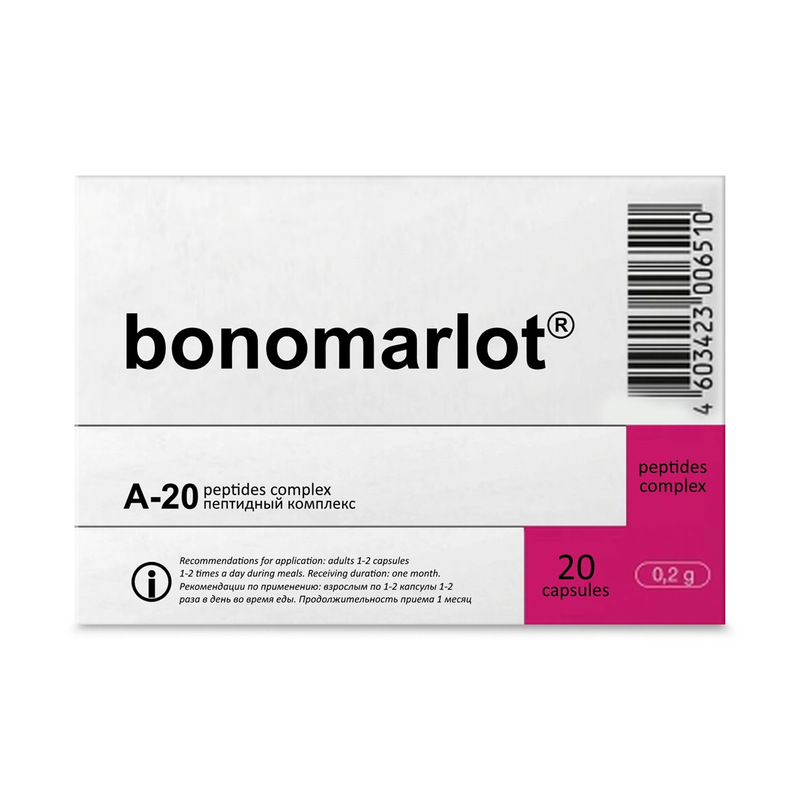 In addition to ALC and carnosine (oral and eye drops), two other glycation inhibitors, both vitamin derivatives, are benfotiamine and pyridoxamine. The anti-diabetes drugs metformin and acarbose (used to lower blood glucose), and aminoguanidine (used to treat diabetic kidney disease), have all been shown to inhibit the formation of AGE's at various points in their production. By reducing glycation throughout the body, every organ will benefit, including the eyes. Up to now, the nutrients, supplements, and drugs we’ve reviewed promote eye health by combatting pathological aging processes, including oxidative stress, glycation, and mitochondrial dysfunction. Now, let’s look at agents that support vision by unique mechanisms. Another nootropic, picamilon, also increases circulation in the brain. The structure of picamilon consists of the vitamin niacin bonded to the neurotransmitter GABA. The molecule can cross the blood-brain barrier into the brain where is broken down into its components GABA, an anxiolytic, and niacin, a vasodilator. And again, since the circulation of the brain is in close proximity to that of the eyes, the vasodilation action has a positive effect on vision. 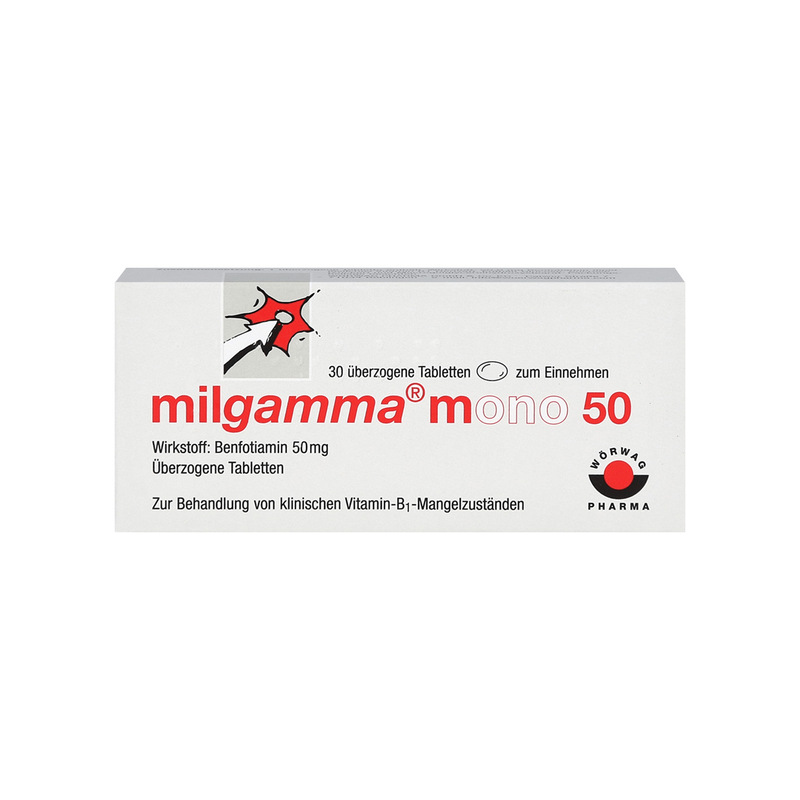 In Russia, picamilon is used to increase cerebral blood flow and treat glaucoma, among other applications. The last novel agent we’ll discuss is the peptide bioregulator visoluten. A major innovation in anti-aging therapies over the past few decades was the development of peptide bioregulators − short chains of amino acids (peptides) isolated from various animal tissues and organs. When administered to other animals or humans, these peptides act at the genetic level to regenerate age-damaged tissues and restore the function of a particular organ. For example, retinal peptides initiate the formation of retinal and pigment cells in patients with retinal degeneration, thymic peptides stimulate immunity, and pineal peptides induce the aging pineal gland to manufacture melatonin. The mechanism behind these rejuvenating effects is complex: each short-chain peptide interacts with a gene's DNA, transferring information encoded in its amino acid sequence and stimulating a process called protein synthesis, the manufacture of proteins according to the encoded genetic information. By "switching" on genes to synthesize specific proteins, peptide bioregulators can recover functions of tissues and organs undergoing age-related deterioration. IAS carries a full range of 21 of these bioregulators (for organs ranging from adrenals to thyroid), including visoluten (eye tissue peptides), which has a regenerative effect on the eyes. This plethora of nutrients and drugs to support eye health and treat existing conditions may seem mind-boggling, and you may wonder where to start, and how to formulate your healthy vision plan. We stressed a few times that the health of the body impacts the health of the eyes, so minimizing the generation of destructive free radicals and AGE's system-wide is essential, with an antioxidant/low glycemic index diet along with additional antioxidant support from a comprehensive daily multivitamin and one or more nutrients to combat glycation, like carnosine or benfotiamine. Because ALC inhibits both oxidative and glycation-induced damage and enhances mitochondrial function, it would be a wise addition to a general strategy. So would melatonin which has so many favorable effects, from antioxidant support to promoting eye health and longevity, that it should be considered (and used!) by everyone. The synergistic use of these suggested supplements would form the foundation of your program. (Of course you can substitute, or add any of the others, such as omega-3's, CoQ10, and resveratrol, all of which will benefit your eyes and body.) Onto this foundation you can add products for specific eye conditions. For those with cataracts, Can-C eye drops should definitely be included in your regimen; those with glaucoma and other eye conditions will benefit as well. We discussed many agents helpful for AMD, like the ALC/Omega-3/CoQ10 cocktail which can be added to your program. Those who seek to boost their brainpower as well as their eyesight can try vinpocetine and picamilon. And at the top tier of innovative vision products is visoluten. Fortunately, all of the supplements and drugs we reviewed are available from IAS. As far as lifestyle factors, keep in mind the importance of keeping blood sugar within the normal range. If you have diabetes, talk with your doctor about the use of metformin acarbose, or aminoguanidine; these drugs may also be used by non-diabetics to reduce the negative impact of glycation, but medical supervision is suggested. In addition, limit your exposure to UV light, and when you do go out in the sun, protect your eyes with high quality sunglasses. Don't smoke, and be sure to exercise regularly and schedule routine vision exams. A combined strategy of nutritional supplements, antioxidant/low-glycemic index diet, lifestyle modifications, and drugs when necessary, will help you maintain (and possibly improve) your eyesight and support your overall health, while combatting several degenerative aging processes. 1. Chiu CJ, Taylor A. Nutritional antioxidants and age-related cataract and maculopathy. Exper Eye Res 2007;84:229-245. 2. Yuki K, Murat D, Kimura I, Ohtake Y, Tsubota K. Reduced-serum vitamin C and increased uric acid levels in normal-tension glaucoma. Graefes Arch Clin Exp Ophthalmol. 2010 Feb;248(2):243-8. 3. Age-Related Eye Disease Study Research Group. A randomized, placebo-controlled, clinical trial of high-dose supplementation with vitamins C and E, beta carotene, and zinc for age-related macular degeneration and vision loss: AREDS report no. 8. Arch Ophthalmol. 2001 Oct;119(10):1417-36. 4. Christen WG, Glynn RJ, Chew EY, Albert CM, Manson JE. Folic acid, pyridoxine, and cyanocobalamin combination treatment and age-related macular degeneration in women: the Women's Antioxidant and Folic Acid Cardiovascular Study. Arch Intern Med. 2009 Feb 23;169(4):335-41. 5. Christen WG, Schaumberg DA, Glynn RJ, Buring JE. Dietary ω-3 fatty acid and fish intake and incident age-related macular degeneration in women. Arch Ophthalmol. 2011 Jul;129(7):921-9. 6. Weikel KA, Chiu CJ, Taylor A. Nutritional modulation of age-related macular degeneration. Mol Aspects Med. 2012Aug;33(4):318-75. 7. Weikel KA, Garber C, Baburins A, Taylor A. Nutritional modulation of cataract. Nutr Rev. 2014 Jan;72(1):30-47. 8. Elanchezhian R, Ramesh E, Sakthivel M, et al. Acetyl-L-carnitine prevents selenite-induced cataractogenesis in an experimental animal model. Curr Eye Res. 2007 Nov;32(11):961-71. 9. Swamy-Mruthinti S, Carter AL. Acetyl- L -carnitine decreases glycation of lens proteins: in vitro studies. Exp Eye Res. 1999 Jul;69(1):109-15. 10. Pescosolido N, Imperatrice B, Karavitis P. The aging eye and the role of L-carnitine and its derivatives. Drugs R D. 2008;9 Suppl 1:3-14. 11. Qu J, Kaufman Y, Washington I. Coenzyme Q10 in the human retina. Invest Ophthalmol Vis Sci. 2009 Apr;50(4):1814-8. 12. Feher J, Kovacs B, Kovacs I, et al. Improvement of visual functions and fundus alterations in early age-related macular degeneration treated with a combination of acetyl-L-carnitine, n-3 fatty acids, and coenzyme Q10. Ophthalmologica. 2005 May-Jun;219(3):154-66. 13. Babizhayev MA, Deyev AI, Yermakova VN, et al. Efficacy of N-acetylcarnosine in the treatment of cataracts. Drugs R D. 2002;3(2):87-103. 14. Babizhayev MA. Rejuvenation of visual functions in older adult drivers and drivers with cataract during a short-term administration of N-acetylcarnosine lubricant eye drops. Rejuvenation Res. 2004 Fall;7(3):186-98. 15. Babizhayev MA, Burke L, Micans P, Richer SP. N-Acetylcarnosine sustained drug delivery eye drops to control the signs of ageless vision: glare sensitivity, cataract amelioration and quality of vision currently available treatment for the challenging 50,000-patient population. Clin Interv Aging. 2009;4:31-50. 16. Babizhayev MA. Analysis of lipid peroxidation and electron microscopic survey of maturation stages during human cataractogenesis: pharmacokinetic assay of Can-C N-acetylcarnosine prodrug lubricant eye drops for cataract prevention. Babizhayev MA. Drugs R D. 2005;6(6):345-69. 17. Mimura T, Kaji Y, Noma H, Funatsu H, Okamoto S. The role of SIRT1 in ocular aging. Exp Eye Res. 2013 Nov;116:17-26. 18. Li G, Luna C, Navarro ID, et al. Resveratrol prevention of oxidative stress damage to lens epithelial cell cultures is mediated by forkhead box O activity. Invest Ophthalmol Vis Sci. 2011 Jun 21;52(7):4395-401. 19. Zheng Y, Liu Y, Ge J, et al. Resveratrol protects human lens epithelial cells against H2O2-induced oxidative stress by increasing catalase, SOD-1, and HO-1 expression. Mol Vis. 2010 Aug 4;16:1467-74. 20. Luna C, Li G, Liton PB, et al. Resveratrol prevents the expression of glaucoma markers induced by chronic oxidative stress in trabecular meshwork cells. Food Chem Toxicol. 2009 Jan;47(1):198-204. 21. Nagineni CN, Raju R, Naxgineni KK, et al. Resveratrol Suppresses Expression of VEGF by Human Retinal Pigment Epithelial Cells: Potential Nutraceutical for Age-related Macular Degeneration. Aging Dis. 2014 Apr 1;5(2):88-100. 22. Richer S, Stiles W, Ulanski L, Carroll D, Podella C. Observation of human retinal remodeling in octogenarians with a resveratrol based nutritional supplement. Nutrients. 2013 Jun 4;5(6):1989-2005. 23. Kiliç A, Selek S, Erel O, Aksoy N. Protective effects of melatonin on oxidative-antioxidative balance and cataract formation in rats. Ann Ophthalmol (Skokie). 2008 Spring;40(1):22-7. 24. Stefanova NA, Zhdankina AA, Fursova AZh, Kolosova NG. Potential of melatonin for prevention of age-relatedmacular degeneration: experimental study. Adv Gerontol. 2013;26(1):122-9. 25. Yi C, Pan X, Yan H, Guo M, Pierpaoli W. Effects of melatonin in age-related macular degeneration. Ann N Y Acad Sci. 2005 Dec;1057:384-92. 26. Lundmark PO, Pandi-Perumal SR, Srinivasan V, Cardinali DP. Role of melatonin in the eye and ocular dysfunctions. Vis Neurosci. 2006 Nov-Dec;23(6):853-62. 27. Tosini G, Baba K, Hwang CK, Iuvone PM. Melatonin: an underappreciated player in retinal physiology and pathophysiology. Exp Eye Res. 2012 Oct;103:82-9. 28. Rastmanesh R. Potential of melatonin to treat or prevent age-related macular degeneration through stimulation of telomerase activity. Med Hypotheses. 2011 Jan;76(1):79-85. 29. Avetisov SE, Kiseleva TN, Lagutina IuM, Kravchuk EA. Effect of vasoactive agents on visual functions and ocular blood flow in patients with early manifestations of age-related macular degeneration. Vestn Oftalmol. 2007 May-Jun;123(3):26-8.